I am inspired my things I see on a daily basis, so to remember them I take loads of iphone pictures of totally random stuff. I literally have hundreds of photos of decor I can DIY myself, pretty rooms, hotel flooring, restaurant sinks, handmade items, stuff from chain stores, etc. I thought it would be fun to go through my hundreds of photos and pick out a few of my favorite inspiring things recently. Prepare to be inundated with total randomness that is equally awesome. 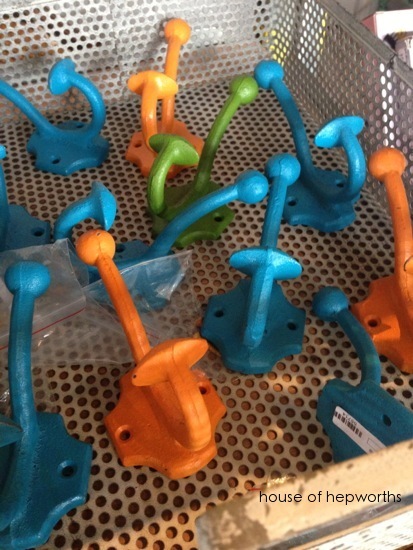 These brightly painted hooks are so fun and would look so cute in a kids’ bathroom; especially if you hang a variety of colors instead of just sticking with the same color. 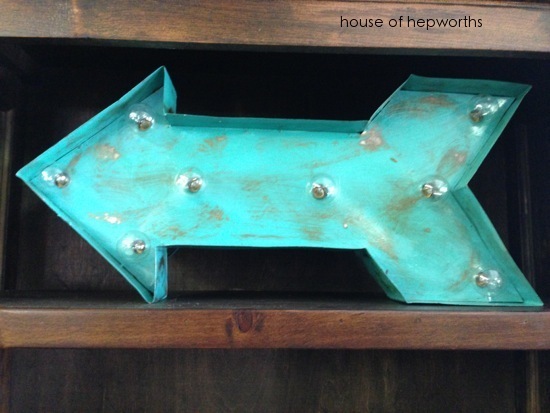 You can totally DIY these yourself with some basic hooks from the hardware store spray painted in fun colors. 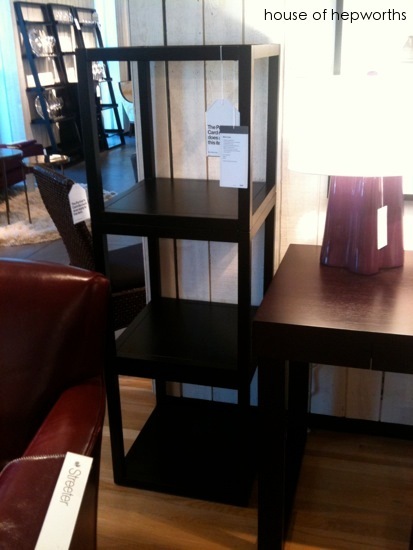 While window shopping at the same store I saw this shelf that I considered buying until I noticed the $424 price tag! Ye-ouch. I can make this same shelf for less than 20 bucks I bet. Get a 1×12 then length you want your shelf. Cut several shelves out of more 1x12s. Screw them together. Hang on wall. 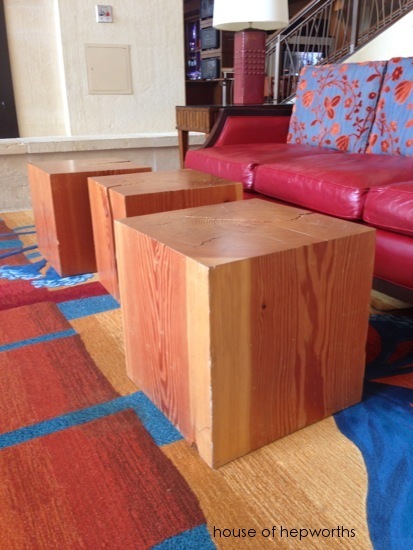 Round stump tables are all the rage right now, but I am more smitten with these square ones from the JW Marriott in San Antonio. Speaking of square wooden side and coffee tables, check out this square wooden one made from lots of little twigs clumped together. If I were going to DIY this I would make a square frame out of wood, then attach the twigs around the outside of it. Use stubby twigs to fill in across the top. This way it looks like it’s an entire table made from twigs, but in reality the twigs are just covering a box frame. 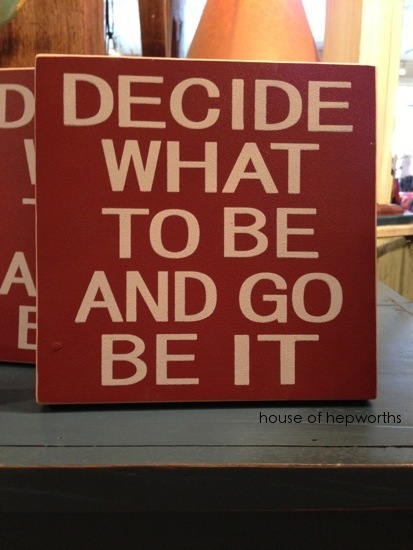 Here are a few signs I’ve seen recently that I love. This one is inspiring. This sign had me cracking up! And this one? 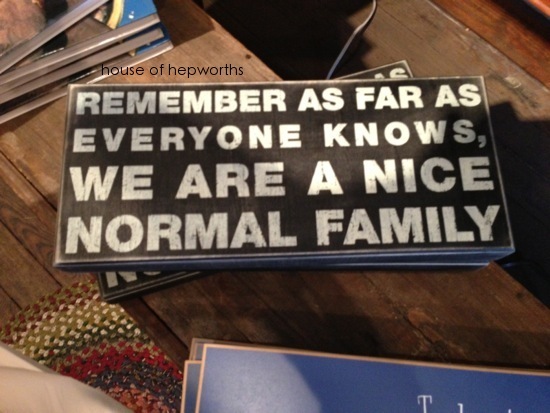 I just need this one in my house. It is hilarious. This shelf can be easily DIYed using basic LACK side tables from ikea. Buy 4 tables, for the base, use one table without the legs. Then just stack three more tables on top and screw them together. Now you have a cool shelf for less than $35. 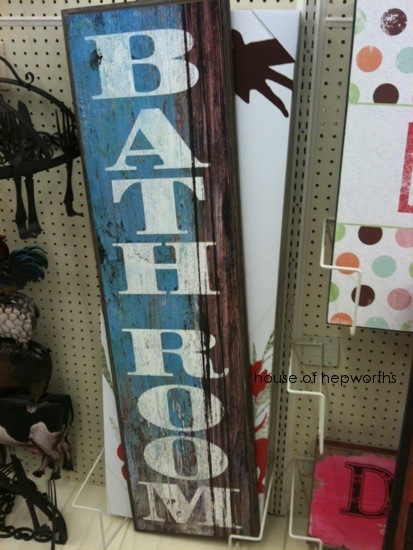 I want to make a big sign like this to attach to the kids’ bathroom door. It’s from HobLob. These little candles from Target are cute and so easy to replicate. 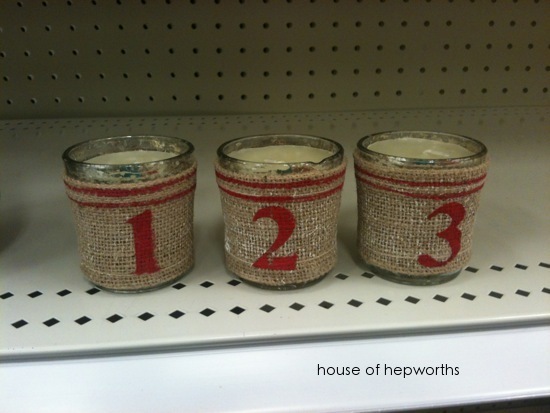 Just get little glass candle holders from the dollar store, wrap burlap around them, and stencil them with red paint. Halloween is rapidly approaching. Try your hand at a spooky crow feather wreath! 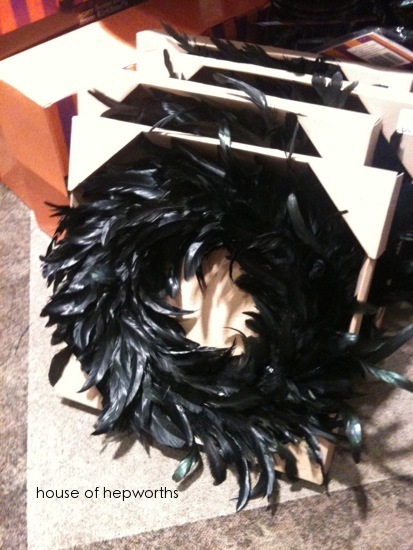 Buy a foam or straw wreath frame, wrap it in black ribbon, then glue on tons of black feathers. Another fun HubLob find! 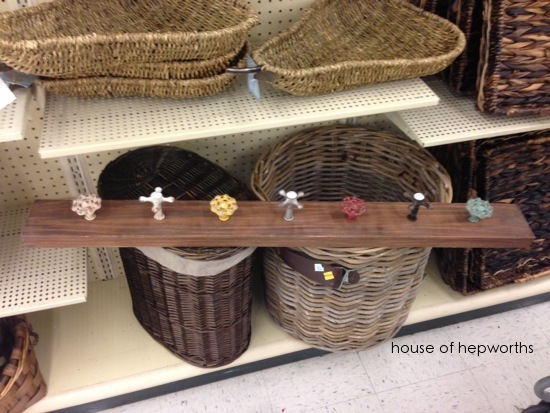 Check out this fun towel holder. It would be so fun in a kids’ bathroom, but even more fun outside near your pool or by your back door. Now the kids all have somewhere to hang their wet swim towels. It would be especially great hanging outside at a beach house. I snuck a picture of my friend’s backyard. 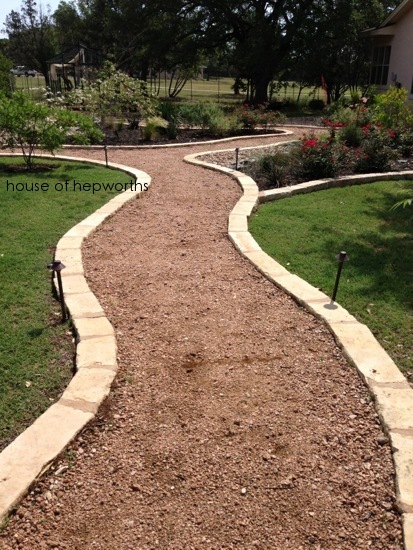 I REALLY really want to do paths like this in my backyard. I love them! 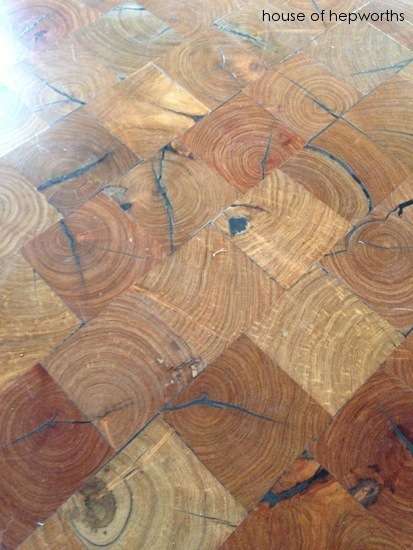 Speaking of my friend, check out this amazing floor they have! It’s small square wood “tiles” that were each hand glued and laid, then covered in a protective top coat. Here’s a close-up. 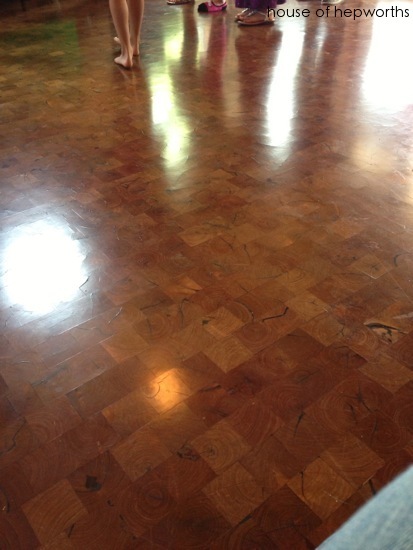 She said it took the flooring people hours and hours to lay this floor. I bet, but the finished result is breathtaking. 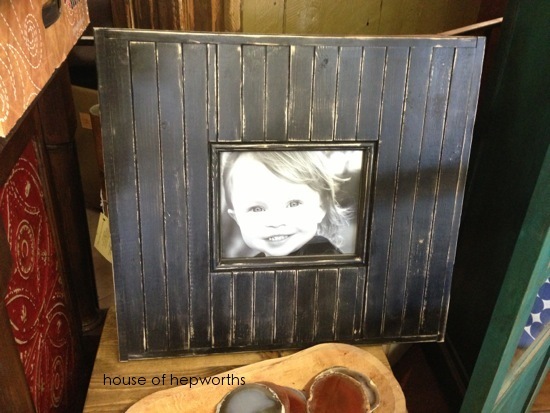 I found this huge frame while window shopping in Fredericksburg. Those are newel posts cut to fit on top. And a close-up. It looks like a giant frame was made, then the newel posts were split up the middle (so they are flat on the back), then attached on the front of the frame. A fun weekend DIY project! Another cool art piece from the same little shop. If you were really ambitious, you could get thin sheets of metal from the hardware store, cut and bend them into the arrow shape, then attach marquee lights. And one final pretty frame I saw. 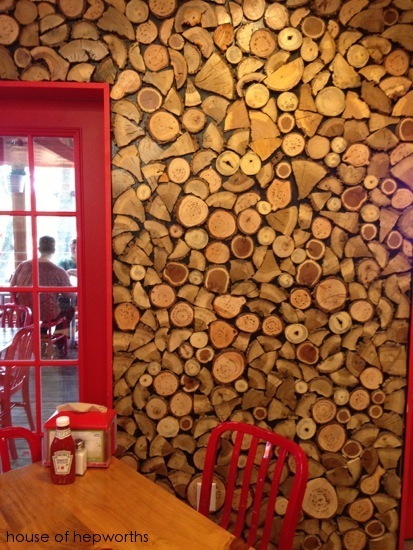 It’s a basic large frame with strips of wood attached to the front to create the stripes. 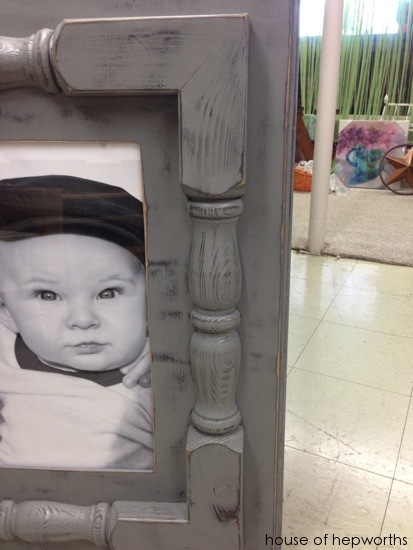 Then decorative moulding was attached around the outside and inside of the frame. 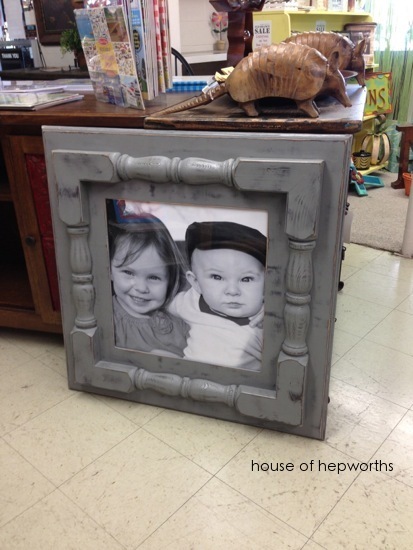 Paint it, then a quick sanding and you have yourself a custom designer frame. I hope you’ve been inspired by some of these things as well! Is your phone totally clogged up with random decor idea photos as well? Do you think you will try to make any of these things I posted? If so I’d love to see your final results! Lots of great ideas. Thanks for sharing. You’re getting m wheels turning to DIY something. Oh, and I totally take pictures of random stuff I like on my phone too. I just haven’t downloaded them to my computer yet (or ever)!. 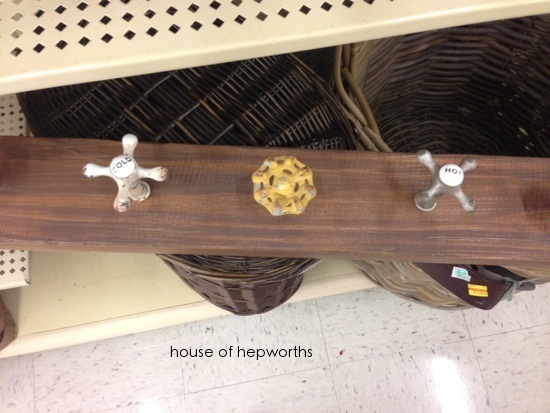 Yes, my phone is also clogged up with tons of “decor ideas” photos! LOL! I love that frame with the newel posts. I would LOVE to have paths like that in my backyard too! Have a great weekend! The Lowes Creative Ideas mag just included a shelf like your 2nd photo (and it has lights if you wanted that). 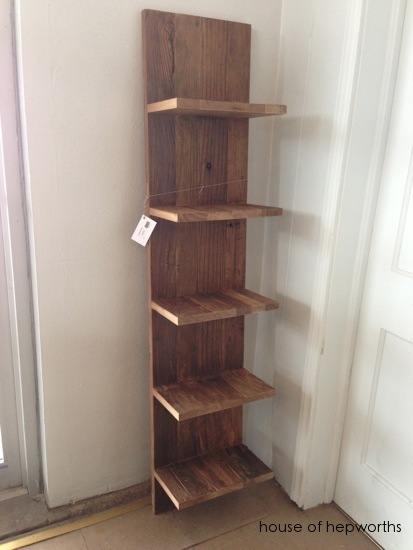 Here’s the link http://www.lowes.com/creative-ideas/decorate-and-entertain/lighted-vertical-wall-shelf/project. 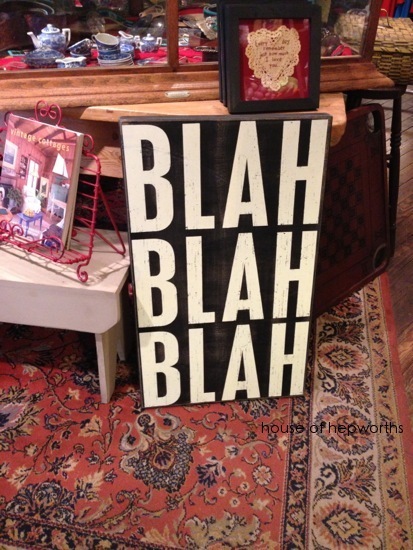 I think I’m going to make them to hang on either side of my fireplace. I love that wood floor too! I’ve got about 100 more where that came from. I’ll have to do another photo dump soon. I just love the idea of a square table with twigs around. I made a tree stump table and I really enjoy how natural it feels. 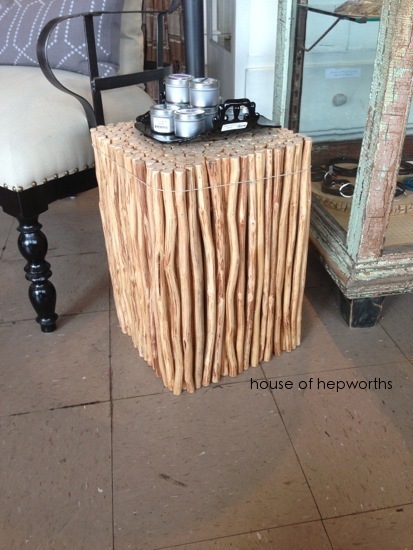 A table of twigs would give the same feeling with even more texture! It’s one of my favorites. Maybe one day I’ll actually get around to making one!